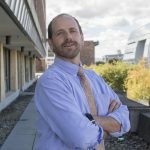 Home / Uncategorized / What are the prospects for high school grads? The EPI article Class of 2018 High school edition by Elise Gould, Zane Mokhiber, & Julia Wolfe (6/14/18) provides a thorough review. 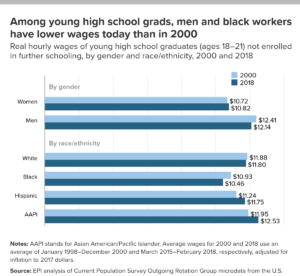 Figure I from the report, copied here, shows 2000 and 2018 wages for high school grads not enrolled in further schooling by race and gender. 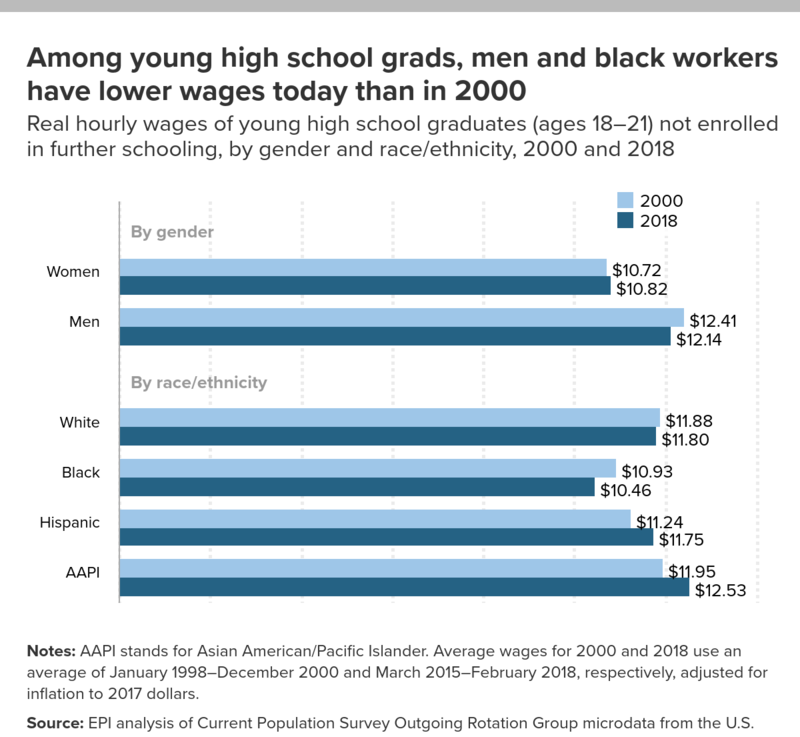 In 2018, young workers with a high school diploma have an average hourly wage of $11.85, which translates to annual earnings of around $24,600 for a full-time, full-year worker. This overall average masks important differences in wages by gender and race. While there may be many reasons someone might choose to enter the labor force after high school rather than attend college, college should at least be a viable option; a person’s economic resources should not be the determining factor in whether they get to go to college. But, as things stand, the prospect of staggering debt may discourage students from less wealthy families from enrolling in further education or prevent them from completing a degree. Previous Which river basins have the most surface area covered by streams and rivers? Next How many people are there and how many can the earth support?